Everyone focuses on France with a recent predilection for rosé, the sparkling waters of the Côte d’Azur, fields of lavender and the bonhomie associated with the glorious south of France. 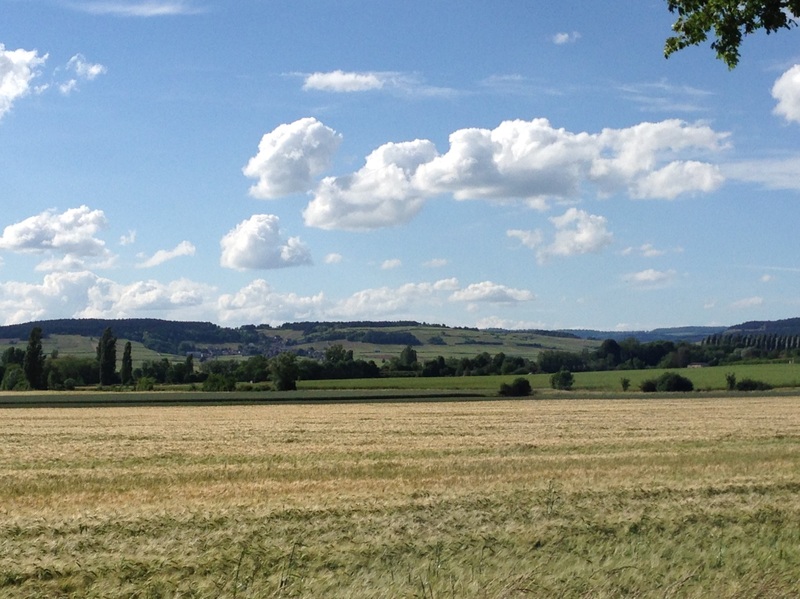 France is a complex character, a woman of many facets and hidden secrets and one of the best kept ones is the wonderful countryside of Burgundy. In the vineyards of Vosne-Romanée and Romanée-Conti are hidden some of the most expensive vines in the world, growing on a small parcel of terroir that would make Belgravia seem cheap in comparison. 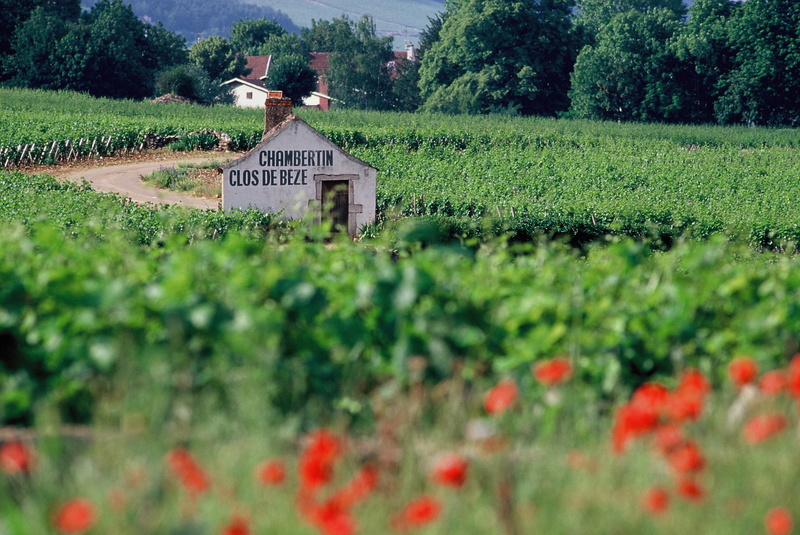 The Route de Vins passes through vineyards we only dream of – mystical names like Chambertin Clos de Bèze, the favoured wine of Napoleon, Motrachet, Aloxe Corton, Chambolle-Musigny, Clos de Vougeot and many more. We stopped to embark on yet another discovery of this wonderful region in Gevrey-Chambertin at the charming and welcoming Les Deux Chevres, the masterpiece and dream of Paul and Jolanta. 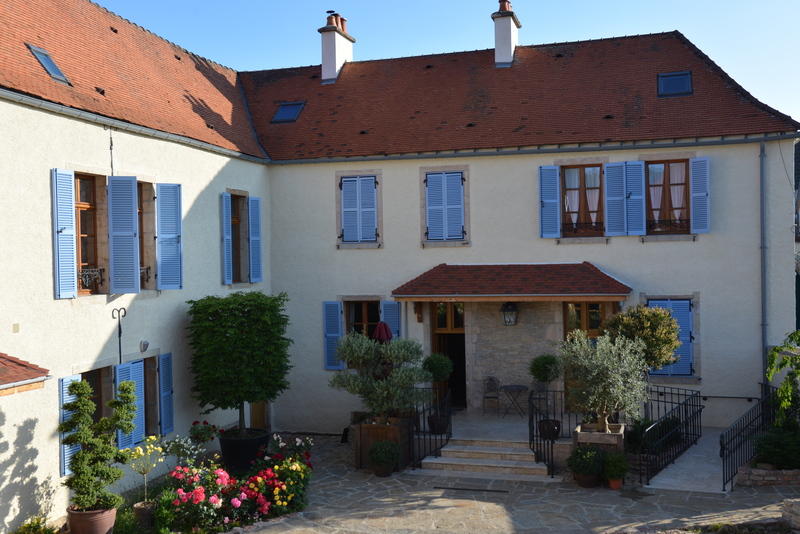 The hotel is situated in the middle of the legendary village of Gevrey-Chambertin, overlooking some of the most famous vines and surrounded by the Grand Crus that we could only dream of. Eight beautifully appointed bedrooms, each individually designed to reflect a character and comfort that was eclectically unique, with state of the art bathrooms catering to every comfort, were situated in the two wings of Les Deux Chevres. Small touches like bottled water, huge fluffy towels and dressing gowns all contributed to the feeling we were in a very spoiling establishment. Beds and pillows are a constant disappointment in France but I wanted to steal these and take them home! There is secure parking behind large ornate gates on the gravelled courtyard which separates the two wings and unbeknown to us we were sitting above the most spectacular cellars that join the two! Paul and Jolanta oversaw a delicious table d’hôte lunch on arrival with fresh cheeses, bread, saucisson and delicious local wine which was exactly what we needed and craved after a very early start (a Eurotunnel at 6am). 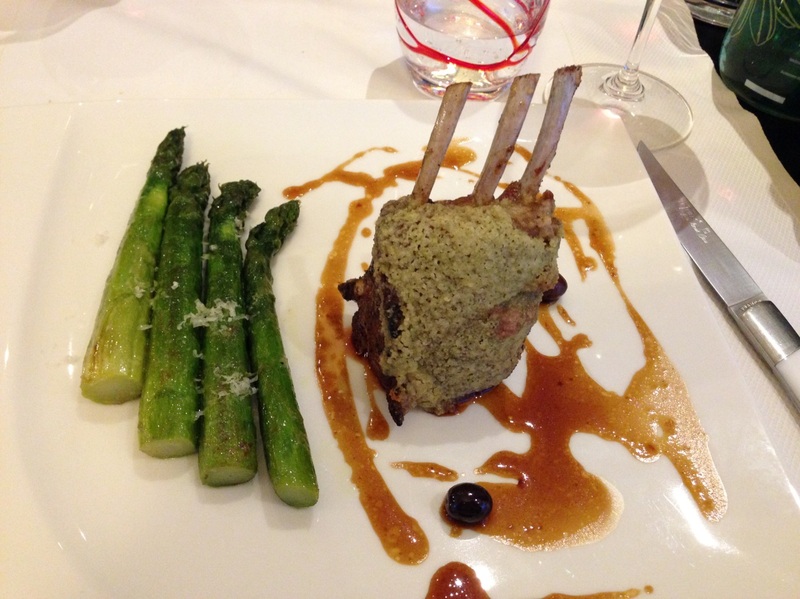 The joy of being sat down in their charming working kitchen which serves as a divine dining room – all by 12.30! A welcoming terrace, an outside kitchen/BBQ area and two parts of the property comprising reception rooms and 8 bedrooms, complete this charming gem. Nothing was too much trouble and suggestions and restaurant bookings were made with great precision by Paul to make sure we saw the best of the area including the charming Chez Guy we dined in the first night, which was a few minutes stroll from the hotel. Although a very high standard of dining was offered, there was no hesitation to offering delicious choices of chicken and fish with mashed potato for smaller souls less interested in the finer points of French cuisine! 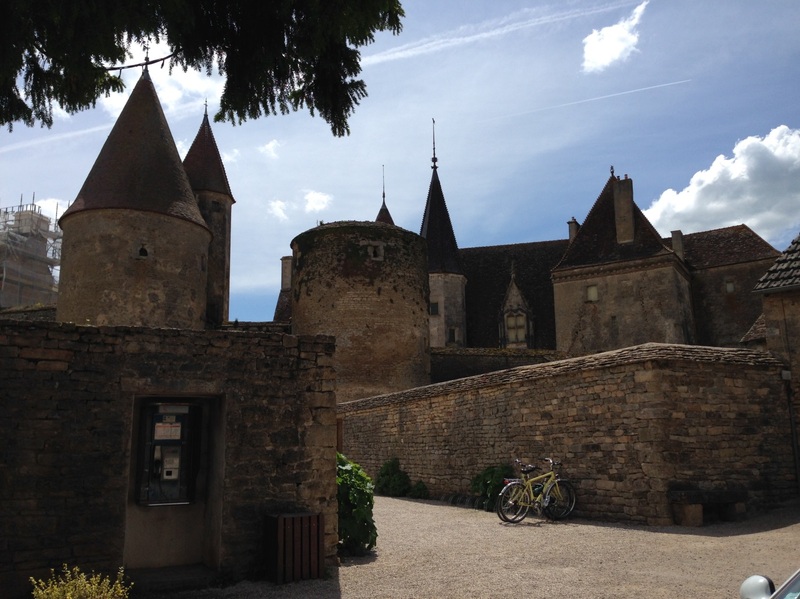 One of our highlights was Paul’s suggestion to visit the medieval town of Châteauneuf-en-Auxois and lunch at the magnificent Relais & Chateaux, L’Abbaye de Bussière. We left after yet another of their delicious breakfasts where local jams, cheeses and saucisson sat cheek by jowl with local yogurt, fresh fruit, marvelous jams and an entire bakery of croissants and bread of every variety, all washed down with freshly juiced orange and delicious coffee. What a marvelous day. We took the map kindly provided by Paul and Jolanta, turned off the sat-nav and set off blindly on D roads into the hills. We sped past fields of buttercups, Charolais cattle gently munching their delicious fare, rolling hills through the valley of the Vallée de l’Ouche, tiny villages and in the case of the Château de Comarin – the quintessential perfect tiny château we all aspire to have. Wondering at the history, sure that the Scarlet Pimpernel aka Sir Percy Blakeney, had once upon a time rescued some beleaguered Visconte and his family from the area, we sat down for a coffee and kir in the village of Comarin with views over the Chateau and beautiful church, serenaded to the sound of the bells. Lunch actually took place in Le Grill du Castel overlooking the ancient castle in Chateauneuf-du-Castel, where we had a very reasonable bottle of wine shared with two delicious pieces of local beef grilled on the open fire in front of us, having purchased some gorgeous gifts at the local antique shop where I learned all about the ancient art of sheet making from Madame. I matched the silver teaspoons I had been missing from my Christofle cutlery, bought a beautiful decanter and glasses for nothing and a set of divine horn handled carving knife and fork for a special birthday. Result, for half the price I would have spent in Peter Jones! 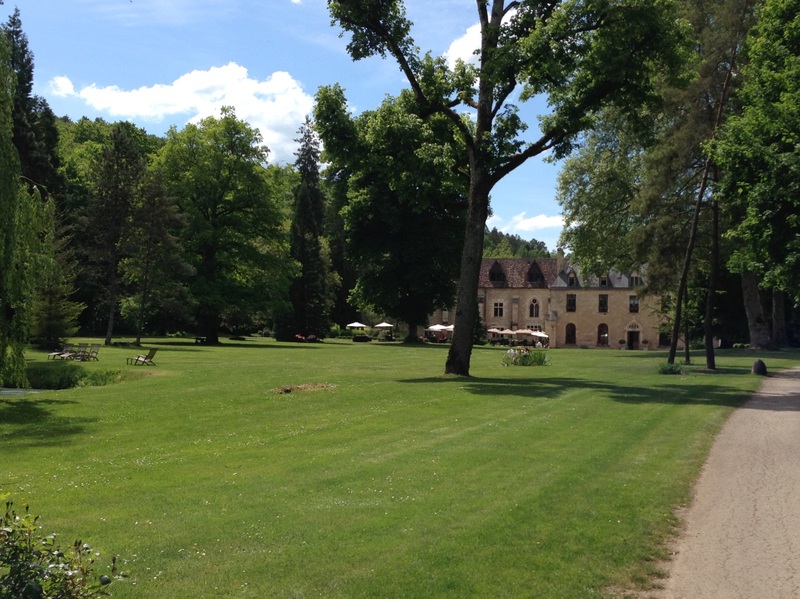 L’Abbaye de Bussiere was everything it should have been, a beautiful Abbaye transformed into one of the most magical luxury hotels in the middle of a huge park overlooking a lake to die for – sadly we had no more time left, so had to bid the golden walls au revoir and promise to return. Plenty of places to explore and eat for those on a more reasonable budget or Les Deux Chevres will happily provide a picnic, and there were certainly more than a few spots with views to die for. We had already traveled down to Beaune the day before to wander through the Saturday market in Les Hospices de Beaune which is one of the great pleasures of life, smelling the scent of the south in the ripe tomatoes, marvelling at the vibrant colors of the vegetables, wild mushrooms, the truffle seller, cheeses to taste, slivers of saucisson to whet the appetite, Madame with her fresh bread and olive oil – an explosion of taste and color for the mere price of a few purchases to store away and return with to share with less fortunate friends in the cold confines of England! Jean Yves is one of our favorite wine makers and the wine we collect each year help us through the dark winters with their golden sunshine and warm red softness. We sat perched in the cave on wine barrels hearing about the floods and hail which had wreaked havoc on our favorite vigneron, who had managed to keep going despite two years of floods, hail and a subsequent lack of stock. The car was noticeably lower on departure than on arrival and we wished him and his family well until our next visit. Back to Paul and Jolanta, we studied the cards from their various recommendations we had tried, Le Clos Napoleon, Le Chambolle in Chambolle Musigny, Chez Guy, Le Petit Auberge in Vosne-Romanee, L’Abbaye de Bussiere and having passed through the beautiful villages of the Côte de Nuits, Route de Vin we knew that even after many years, this magical place had so much more to discover. Castles, vineyards, Romaneque churches, driving along the famous Canal de Bourgogne, watching barges float by – we never even had a chance to visit Semur-en-Auxois one of the most famous medieval villages in France, Flavigny-sur Ozerain where the film ‘Chocolat’ was made, visit Fontenay Abbey which is a UNESCO world heritage site, walk through Alesia which is the famous battleground where Julius Cesar beat Vergingetorix’s Gaulois army in the year 52BC (check your Asterix and Obelix books!) – all interspaced by lovely restaurant and markets – we had to return! Les Deux Chrevres can organize any of these wonderful tours with drivers, guides and to return each night to their welcoming home is the highlight of visiting Burgundy! 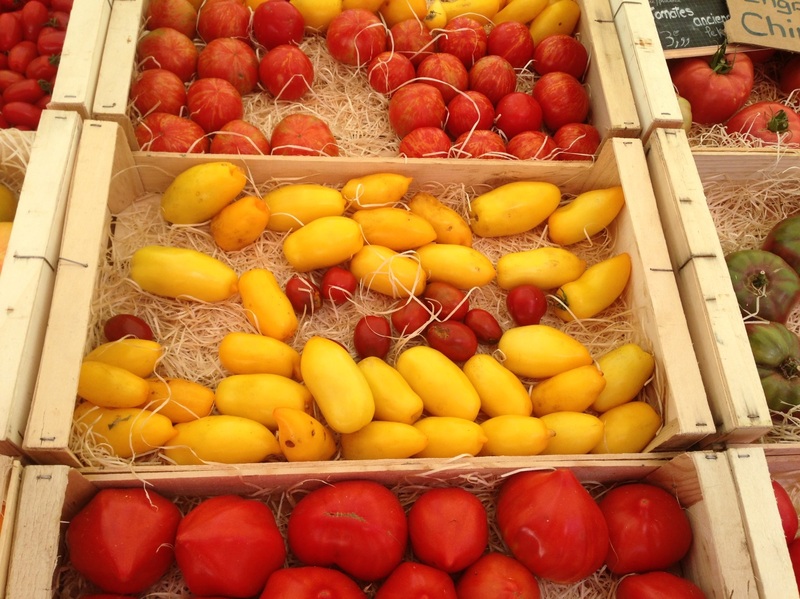 5 ¼ hour’s drive from Calais – you must go!